our rolls' core and our packaging is made from recycled content! 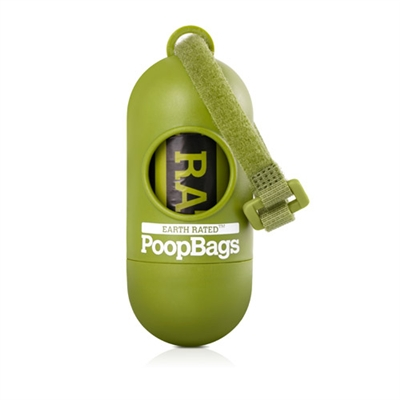 Earth Rated PoopBags are biodegradable bags for picking up Fido's mess. Extra long, so you or your sleeve never make unwanted contact. Big enough for a Great Dane's pile. Naturally scented with lavender so you won't mind holding on until you properly dispose it. Hook on dispenser so you don't have to carry the bag after clean up! Harmlessly degrades within 24 months into CO2 and H2O.